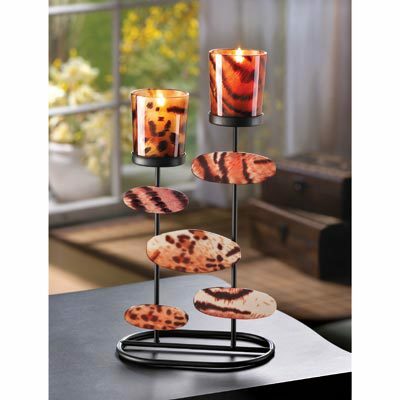 14602 TIGER-RIFFIC CANDLEHOLDER home decor, jewelry, decor, decorations, electronics, fountains, floor mats, art glass, vases, garden essentials, fireplace screens. 6¼" x 4¼" x 11½" high. Iron and glass. Candles not included.